Fashion Week goes into the next round and just recently started in New York City. But before we turn the page to next season – Spring/Summer 2018 – we want to give you a little recap of what’s going on now. 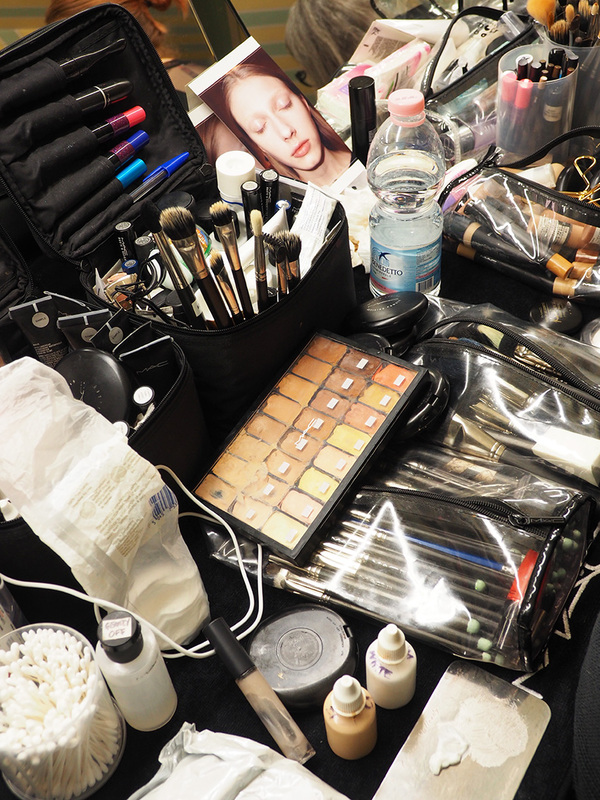 Therefore we visited the Milan Fashion Week with M.A.C. 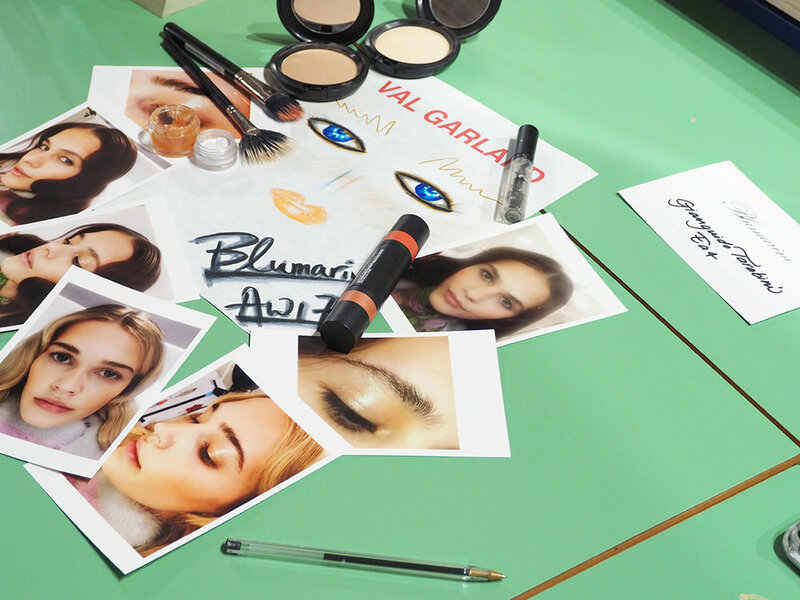 COSMETICS in the end of February to experience the Autumn/Winter 2017/18 trends first-hand. legendary Val Garland, who created the Make-Up at BLUMARINE. We hope to inspire you and to warm you up for the upcoming Fashion Weeks. 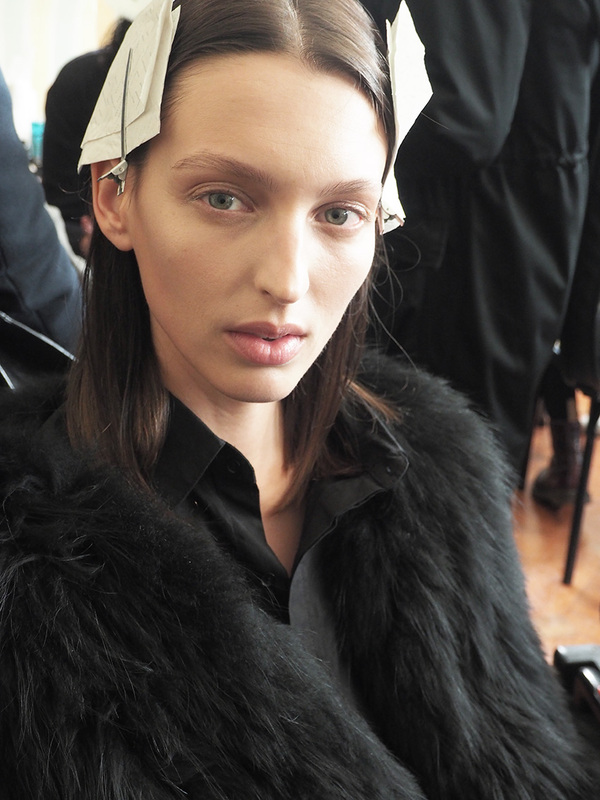 For the first Show of VIONNET in Milan Christelle created a look that should remind of the paintings of Leonardo Da Vinci – very pale, very innocent, and glowy. Using Prep+Prime Skin to prepare the skin. As base use Face & Body Foundation in thin, transparent layers with a brush and layer a lighter shade of foundation in the center of the face. Brows are brushed up, light them up with the Studio Finish Concealer and fix them with Browset Clear. Highlight the cheeks with Mineralize Skinfinish-Powder in Light Scapade. For the eyes apply a thin layer of Mixing Medium Shine mixed up with a tiny bit of Pigments in Vanilla. For the lips just use Lip Conditioner. Basically it’s here all about a sun-kissed, „babylicious“, a Barbie kind of girl. 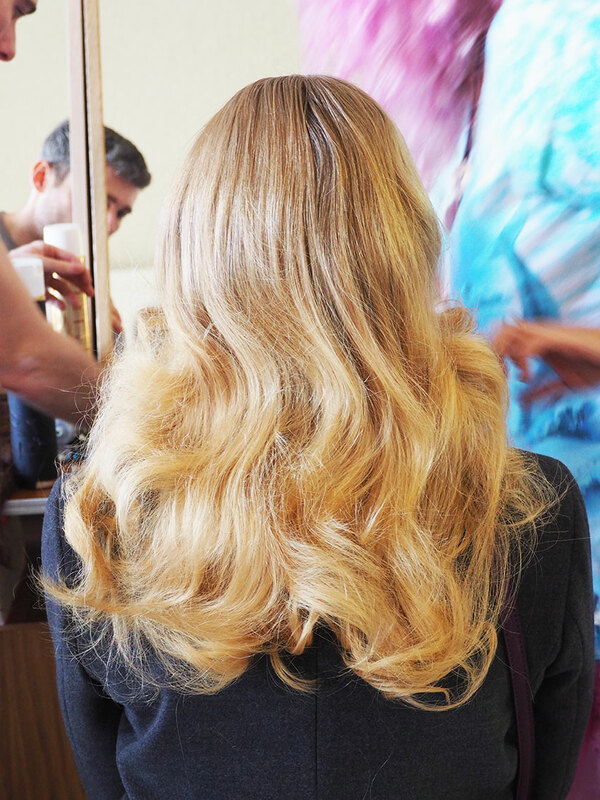 Val calls it also a „gold rush flash“ - it’s this beautiful Californian bronzy, gorgeous goddess. First apply Mineralize Timecheck Lotion over the face to instantly hydrate and smooth the skin. The M·A·C Studio Waterweight SPF 30-Foundation comes next – gently applied over the face to even, tone and perfect. Then use Cream Colour Base in Mid-Tone Sepia over the forehead, cheeks and across the bridge of the nose to naturally bronze the skin. For a warm flush on the cheeks use the M·A·C Studio Quiktrik-Stick. Add some Cream Colour Base in Pearl to the upper cheekbones to highlight. For the eyes use a mix of Clear Gloss and Glitter in Reflects Gold and press it into the skin from eyelid to brow for a delicate glimmer. Leave the lashes beautifully bare, without any mascara, but brush the eyebrows up. On the lips put just some Lip Conditioner to soften them. Superhero 2.0: for the look of MOSCHINO Tom started with Twiggy as the iconic inspiration. Then he add a little bit of Audrey Hepburn, Cindy Crawford and all of theSE incredible women that created style. 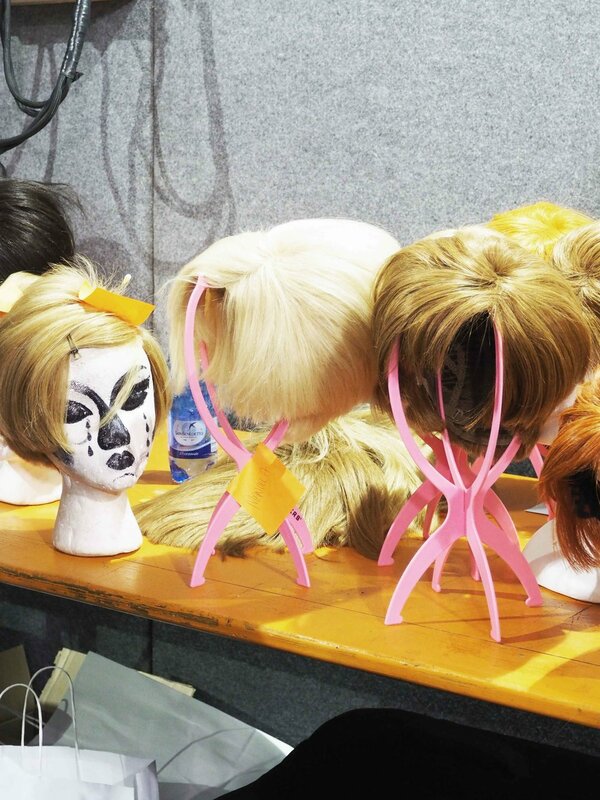 The perfect set up to paint the right frame for the highly expected and crazy creations of Jeremy Scott – which means: A marvelous Make-Up that meets big volume retro-wigs. 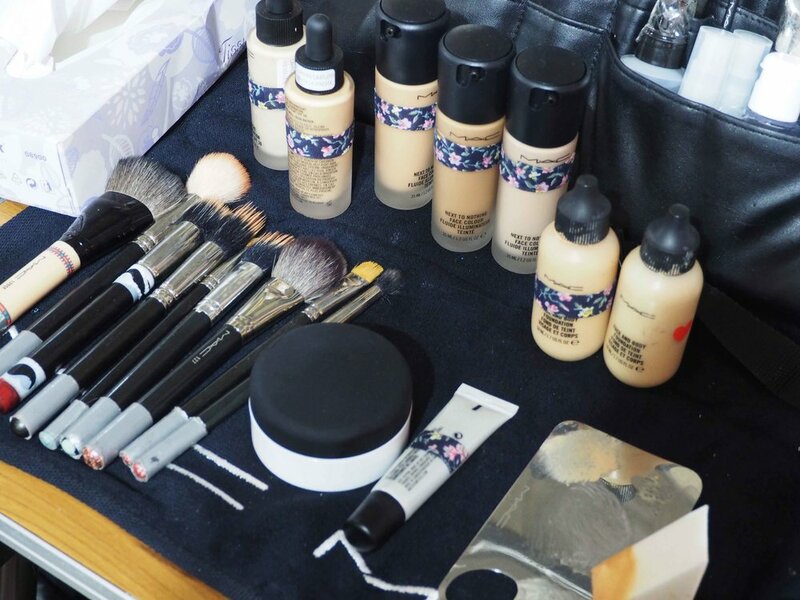 As base use the M·A·C STUDIO Waterweight SPF 30-Foundation over the face to even and tone. Press some Mineralize Concealer into areas as needed to create a flawless look. Then apply Cream Colour Base in Luna to the upper cheekbone to highlight them. For a sculpted perfection use Powder Blush (Pro Palette Refill Pan) in Taupe and blend it under the cheekbones. Sweep Set Powder in Invisible over the entire face to polish and refine the look. For a bit of colour and dimension apply Extra Dimension Strobe Blush in Fairly Precious to the apples of the cheeks. Lightly fill the brows as needed and groom them for a natural look. Eye Shadow in Texture was mixed with various shades of brown eye shadows and applied above the crease, with a distinct swoop, to contour. To create a smoky liner use Pro Longwear Fluidline smudged on the eyelid. Apply Chromaline in Pure White to the eyelid and brow bone to highlight them. The lashes were swept through with M·A·C Bold & Bad Lash in Bold, Bad, Black and topped with the 1 Lash (cut in half and apply it to the outer corner of the eye to amplify and lift it). Special thx to M.A.C. COSMETICS for having us.